The advent of streaming services like Netflix has meant more of us are spending more time in our bedrooms, binge watching the latest season of Orange is the New Black or whatever tickles your fancy. Picture this: You’re in your room enjoying your 10th episode in a row, but you’re becoming increasingly frustrated because you keep losing Wi-Fi reception. They say you never really know someone until they react to slow internet speeds, and it can be an incredibly frustrating experience. Don’t stress though – there is a workaround. Barring moving the Wi-Fi modem into your room, there are a couple of solutions that can yield great success. These all work in slightly different ways but the end result of each can be impressive. Pause Netflix for a little bit and read up! 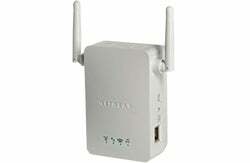 What is a Wi-Fi range extender, repeater or booster? If you’ve done a bit of reading already, you might have come across these terms. The fact is that there is little difference between the three, and the terms are hard to define because manufacturers define them differently! They all exist for one common goal, however, and that’s to improve Wi-Fi coverage. How much do Wi-Fi extenders cost? Evidently, for top-range Wi-Fi solutions you’re going to need to pay a pretty penny. The range of 930m² is outstanding, and so is the technology allowing multiple streams to occur. The Nighthawk seems like a solid investment and one that could be worth the money. The differences between an expensive and budget-oriented extender are noted – most pronounced in the transfer speeds – but you might find the cheaper one is ‘good enough’ for your needs. If you find your connection is generally OK most of the time, providing a small boost with a device costing less than $70 may be the best solution. However, Wi-Fi extenders usually work best when you get little consistent signal. In this case, it may be a wise investment to opt for a more high-end variant. Extenders are an easy solution but are not obviously fit for everyone – in any case, it can be useful to consider powerline adaptors too. Powerline adaptors come in a pair and they work by transmitting data between two power points in separate parts of your home. So, effectively you are getting an internet connection through your electricity supply. You first attach – by Ethernet cable – one adaptor to your modem and plug the adaptor into the wall socket. Then you attach a patch cable from your device – usually a TV – to the second adaptor plugged into the wall. This allows for an effective solution to counter those buffering woes! So, it seems like an effective solution and already better than Wi-Fi extenders, so what are the drawbacks? The drawbacks lie mostly in things you can’t exactly control, but this can also be frustrating if you aren’t aware. One of the biggest ‘hidden’ drawbacks is the problem that arises if your power sockets used are on different ‘lines’. This depends on how your house is wired, but if your two power sockets are on different lines, they may not be able to ‘talk’ to each other. After all, this is effectively chaining or ‘networking’ a variety of devices together. One of the main solutions to this is a ‘phase coupler’ device, which is yet another cost burden. However, in a lot of cases you can get by fine by simply ‘plugging and playing’. Depending on quality of adaptors, speeds may not be optimal as there is another ‘link’ in the chain. This increases latency, which can affect speeds – especially in online gaming. Range limitations. Despite it being over powerlines, there are range limitations and performance is best when the range between modem and end device is shortest. Optimal performance is also hindered if you use a ‘breaker’ or surge protector. This is also the case with using power boards. Performance is best when you plug the adaptors straight into the wall. Overall, powerline adaptors can offer more consistent connection as opposed to Wi-Fi extenders. Using a fixed line as opposed to airwaves obviously can produce better results. In any case, powerline adaptors are varied and come in a range of price points and quality. As it stands, powerline adaptors are usually the more effective option for providing a ‘stop gap’ between your modem and streaming device. Before rushing out to spend a pretty penny, it can also pay to look at a couple of other cheaper solutions. Beyond powerline adaptors and Wi-Fi extenders, there are several methods you can use to hopefully improve your Wi-Fi signal and get to watch that Netflix episode sooner. The first step is to change the location of your Wi-Fi modem. Change it to a central location in your home and avoid placing it near walls or other physical barriers. Update your modem. Chances are if your modem is rather old. Technology has improved to keep up with increased speed demands, so it could be a wise investment to choose a modern modem that can keep up with the rigours of today’s data demands. 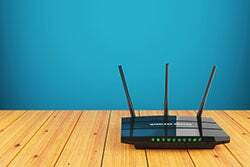 If you’ve got your ideal modem set-up in a good location, Wi-Fi extenders and powerline adaptors present a simple way to eke out a little bit more performance in the farthest reaches of your home. However, they are not without setbacks and the price you pay for them does not necessarily guarantee that you will get great latency and speeds. Either way, it is worth shopping around and thinking of a bunch of different solutions. Happy streaming!